lightweight, powerful yet thin. Pockets have waterproof zippers to help keep items dry. Available in high visibility safety yellow and sizes medium through 5XL. 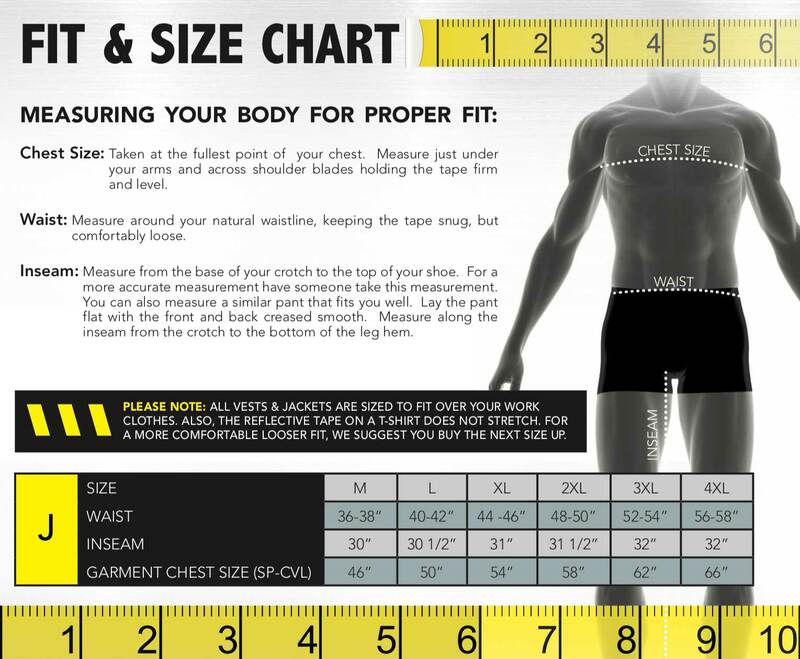 See sizing above in pictures and below in sizing.